If you have been injured as a result of a dog bite or dog attack, you are entitled to compensation. Our dog bite lawyers can help you. This is true even if you only suffered emotional or psychological injuries and no physical injuries. You can also obtain compensation if your dog was attacked and injured by another dog. Dog liability law in Ontario is very progressive. Ontario dog owners will in the overwhelming majority of cases be held liable to anyone injured by their dog and will need to pay damages. 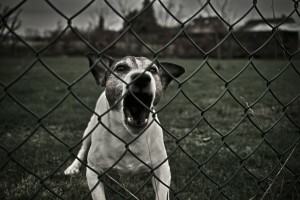 In Ontario, dog bite, attack or incident cases are governed by the Dog Owners’ Liability Act, R.S.O. 1990, Chapter D.16. This Act provides that when a dog bites or attacks a person or another pet, the dog owner is liable for any damages that result and must pay compensation. If the dog has more than one owner, then both or all the owners are equally liable. Under this Act, the injury victim does not have to prove that the dog owner was negligent or that the dog’s behaviour was in any particular way caused by the owner. It matters not if the dog owner knew or did not know that their dog had a propensity for biting. The Act provides certain governing principles when it comes to addressing liability of dog owners and calculating compensation, all of which has been interpreted by the Courts over time. Only an experienced dog liability lawyer can successfully maneuver through the various statutory and common law principles to properly and fully assess a dog liability case and obtain fair compensation for dog injury victims. Nicholas Quinn has extensive expertise in handling dog bite and attack cases and has successfully obtained compensation for his clients in all of his cases. Let our dog bite lawyers assist you in finding out what compensation you are entitled to receive and let us make sure you receive fair compensation.